tips for GATE for students to a clear-cut preparation strategy, you will be able to succeed. Coaching classes can offer a well laid out preparation schedule which can be utilized effectively by the candidates who are not able to maintain a regular duration of preparation. Coaching classes are of great significance in maintaining the consistency in preparation. 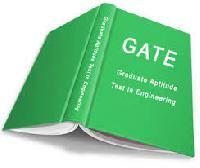 Good coaching institutes usually offer complete coverage of the GATE syllabus. Some of these also provide inputs on additional and important topics. Standard coaching classes can also offer variety of topics which are prone to be left out by the candidates, but are very important from examination point of view. Experienced faculty of coaching centers can help with quick tips and methods to crack key problems, which can help save valuable time during the examination. Mutual exchange of notes and study materials amongst classmates is quite beneficial. Group studies can help in improving the preparation level and confidence. Generally speaking, the faculty in most of the engineering institutions are not typically oriented to guide the students to qualify GATE, because of lack of time And expertise. In such a scenario, coaching centers can be especially useful since they have expert faculty, oriented towards GATE preparation. Travelling to and fro coaching institutes usually adds to fatigue and loss of precious time. There is likelihood that candidates may be restricted their scope of studies to coaching classes and study material received from the Institute. 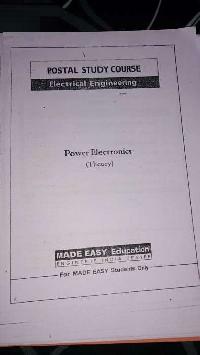 This can hurt overall performance in the exam. It is not always feasible to avail best mentors in a coaching center for all subject areas. Besides, motivational guidance is essential for success in GATE, which may not be found in all coaching centers. All those engineering students who are aspiring to pursue a Masters degree in institutes like IIT, NIT IISC, or those opting to apply for a PhD in India or abroad. All those with a science and technology background aspiring for a career in government undertakings.